Based in Sutton Coldfield, it is my aim to provide internal plastering of the highest possible quality to the local area. As plastering is such a specialist trade, it’s imperative to choose the right contractor for the job when undertaking your project. The last thing you want on completion of your project is to find poor workmanship which needs correcting. Therefore it’s important to pay the right price in order to get the right job done at the first time of asking. 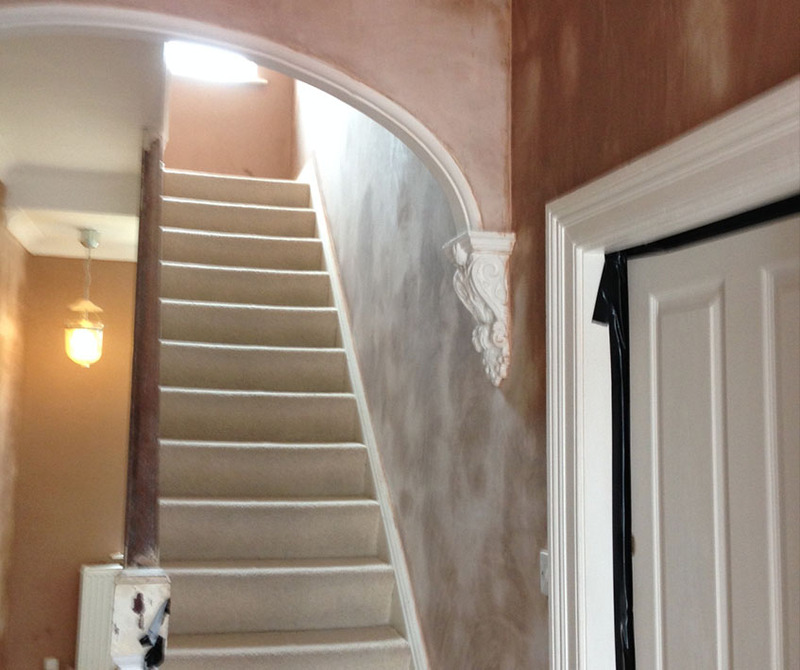 At JRM Plastering Services I can guarantee to give you the exact job you’re after, first time around. We had 4 en-suite bedrooms, a staircase, long corridor and kitchen which we had constructed from metal partitions and was double plaster boarded, as usual we were running close to schedule and needed the entire job skimming to a high standard ready for paint without delays. After getting 3 quotes we instructed Jason and his team at JRM Plastering to do the job. 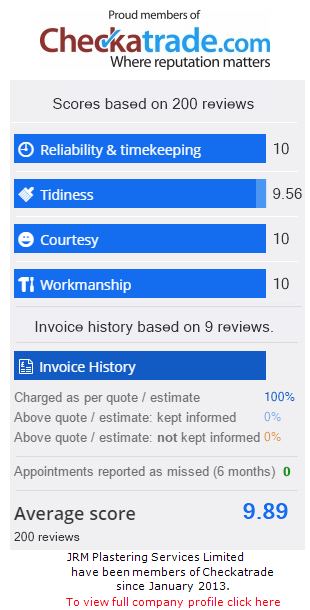 Their quote wasn't the cheapest of the 3 but it was quality and cleanliness that we were after. That is exactly what they gave us too. They arrived on time each day cleaning up after themselves each day. Their preparation and final finish of the walls and ceilings was fantastic. The decorators had no prep work to do which meant that they could go straight in and paint. The job was completed over 18 months ago now and we haven't seen one crack! We have always used JRM since this job and can't fault their work.